Once you start dipping below £500, it's much harder to scout out the right notebook for your needs - at this price, it's almost inevitable that something has to give. And while the Amilo isn't the cheapest notebook we've ever seen, it's not far off - remarkable given some of the treats inside. On first impressions, the Amilo chassis is one of the most outwardly basic to come through our doors. The design is unapologetically plain, with only the silver-finish lid providing any sort of decorative flourish. The rest of the exterior is also conspicuously bare - aside from the 56K modem and 10/100 Ethernet ports, you'll find just four USB ports and a VGA out. There's no serial or parallel, no PC Card slot or FireWire, and certainly nothing as forward-looking as an ExpressCard slot or media card reader. A low-priced student notebook that’s blighted by outdated graphics. As schoolchildren and students, or at least their parents, gear up for the new academic year, notebook manufacturers are starting to plug their bargain-basement PCs to those whose needs stretch to little more than office and internet use. As expected, the latest Fujitsu-Siemens notebook has shunned Intel’s new Santa Rosa platform in order to keep the price down, so there’s no advanced features such as Draft-N wireless or Turbo Memory. The computer has an Intel Core 2 Duo T5300 processor running at 1.73GHz, so it’s no slowcoach, but it’s not going to be at the front of the race either. The 2GB of memory supplied as standard is a welcome addition, however, and alleviates the poverty of the Li1718’s graphics performance. The graphics card is an ATI Mobility Radeon Xpress 200M with 256MB of dedicated memory. While a separate rather than an integrated graphics card usually indicates decent performance, this model is old and struggles to cope with recent developments, particularly in gaming. Although it's only the beginning of the summer holidays, Fujitsu Siemens is already offering forward-thinking parents a head start for next term with what it calls a 'back to school special'. 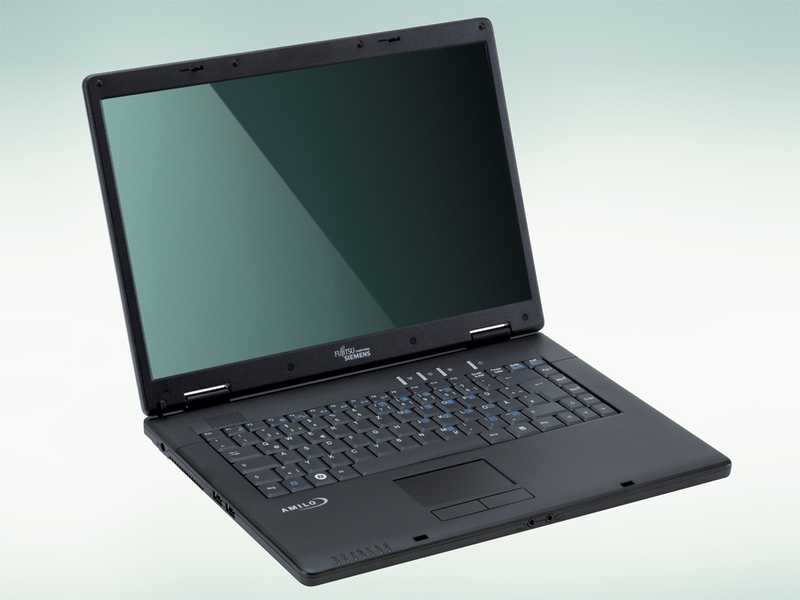 The special in question, which is only available in Tesco shops from the beginning of August, is the Amilo Li 1718, a 15.4in notebook computer with an Intel Core2 Duo processor. Such notebooks are, it's fair to say, ideally sized for students – while they're not small enough to be truly portable, they offer a large enough screen size to make them comfortable to use. This one is very much a no-frills model, as indicated by its sub-£500 pricing, but, again, that's what's required from such a computer. The main functions – general Windows use, web browsing, email and word processing – are all present and correct, and work very well. The processor, a Core2 Duo T5300 running at 1.73GHz, is not a slowcoach, but it's nowhere near the fastest in Intel's range. T2450: » Further information can be found in our Comparison of Mobile Processsors.